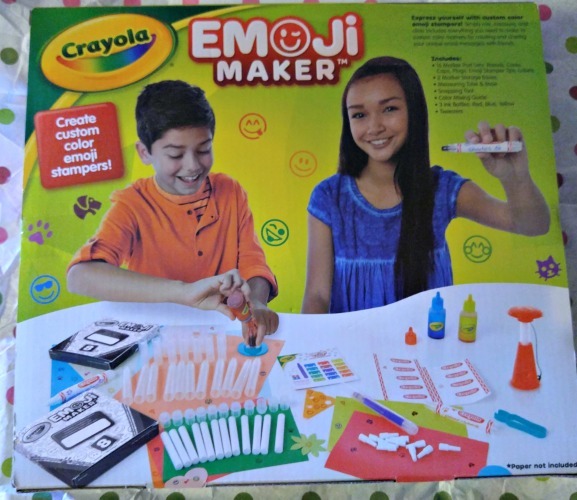 Crayola has such a huge product line that helps your child create everything they can think of. From their imagination to the paper. So many projects for them to make and create. And you have all of those masterpieces to hang up and share with your family and friends. Oh my goodness! This is so much fun. I am not sure who has had more fun using this me or my grandkids. Because this easy to use sprayer convert ordinary broad line markers into a vivid, smooth spray of ink. They can create their own designs, on paper or t-shirts, where ever you give them permission. Or they can use stencils for precise exact pictures. Thanks to the motorized, electric-powered design you can use it for as long as you want. Never worry about batteries dying or running out of batteries. Truly designed with kids in mind it is very easy to use. It has a convenient twist ‘n load nozzles that will securely hold the marker in place. While the dual action trigger releases spray with a simple pull of your finger. The airflow will provide a smooth and reliable flow of ink. 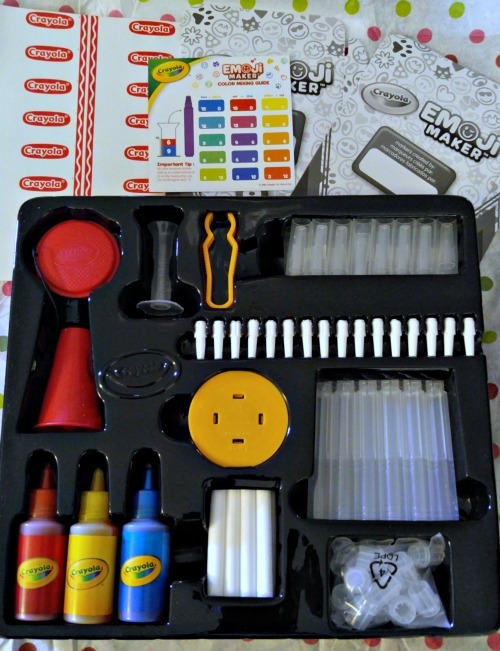 This way you have hours of creativity without the frustration of of batteries. Another great thing is while you are spraying the colors you can mix to form new colors. So, while your child is having fun they are also learning about color and composition. Pip Squeaks markers are worry free and washable. Because of the washable ink formula, all it will take to clean any surface is a gentle rinse. Which is a blessing if you have messy kids like my grandkids. 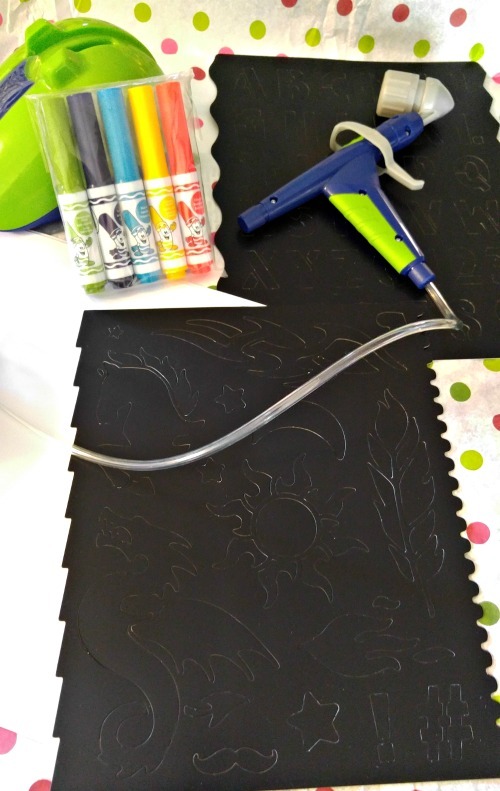 **The Air Marker Sprayer also works with Window Markers, so kids can decorate glass items and so many other surfaces with this cool airbrush sprayer. Now this is truly a fun product. Every one love emoji’s. Now you can make your very own emoji maker. While you can make them in whatever color you can think of. You get a handy color mixing guide to create your favorite colors or you can experiment and make your very own colors. Choose from 16 of the most popular emojis such a hearts, winky faces or pizza slices. Text messaging has made emojis a thing all the kids know and love! These unique stampers are so easy to make. Mix together the ink colors you want into one of those measuring tubes and dip into the stamper reservoir. Now when the stamper fills with ink, use the tweezers to place in the stamper barrel with the emoji nib and snap plug into the back. Crayola helps your kids explore their imagination. While letting them create and design them all! Enjoy! Make your world colorful!